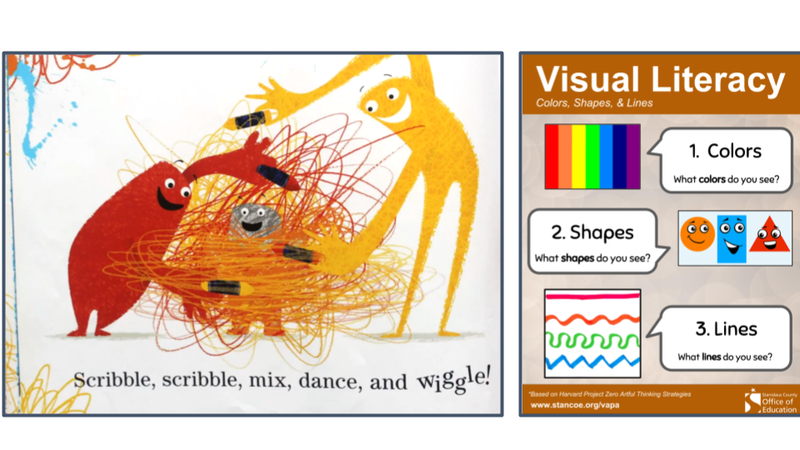 I absolutely love creating and/or personalizing new-to-me Visual Art Integration Lessons; for real. I get so excited when a colleague challenges me to include something new and/or another subject into my practice. I’ve found that the process of pushing myself to be inclusive of new ideas, subjects, and concepts makes my lessons more interesting, more rigorous, and more powerful for students. 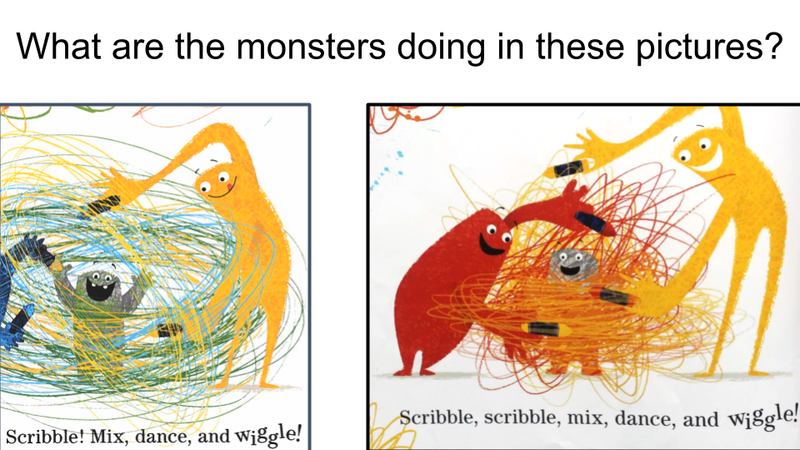 Along those lines, I’ve been working on a Visual Art and English Language Arts Integration lesson for general education Kindergarten teachers based on Monsters Love Colors by Mike Austin. 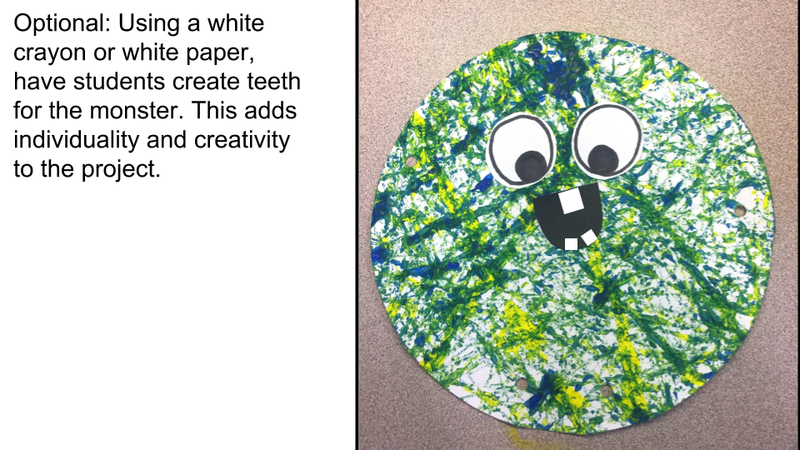 Here is a link to a Google Folder with all of the project slides, how-to’s, images, exemplars, worksheets, and rubrics. in Monsters Love Colors by mixing two colors. 7. 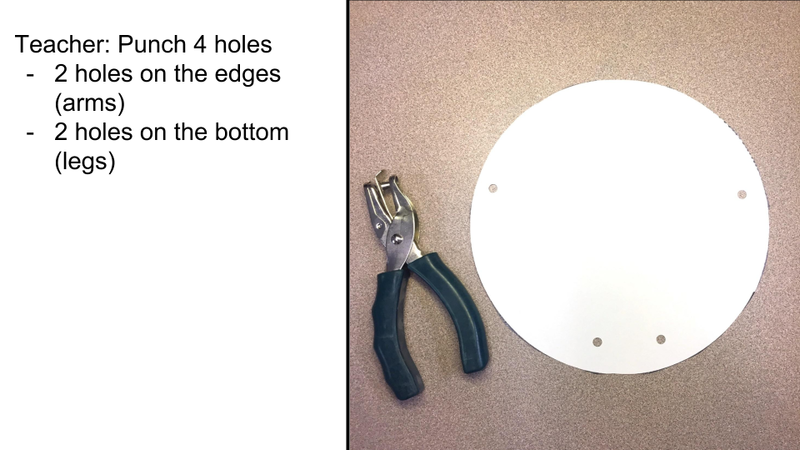 Teacher pre-punches holes in monster shape. 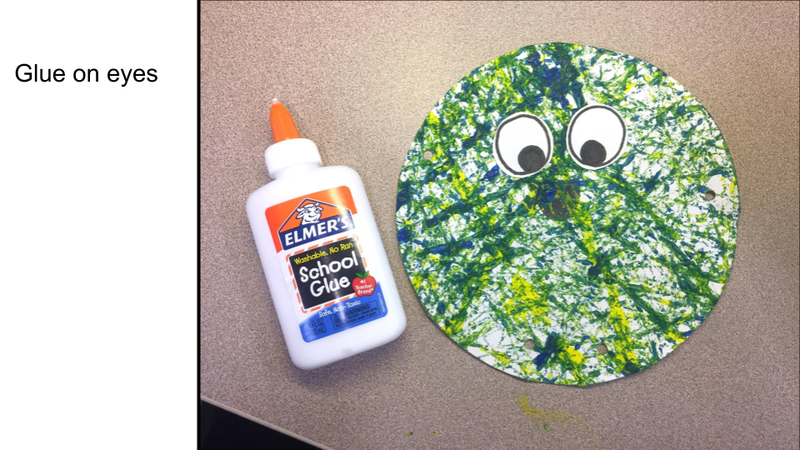 My example uses a circle, but I would provide a circle, rectangle, square, and triangle and let students choose. 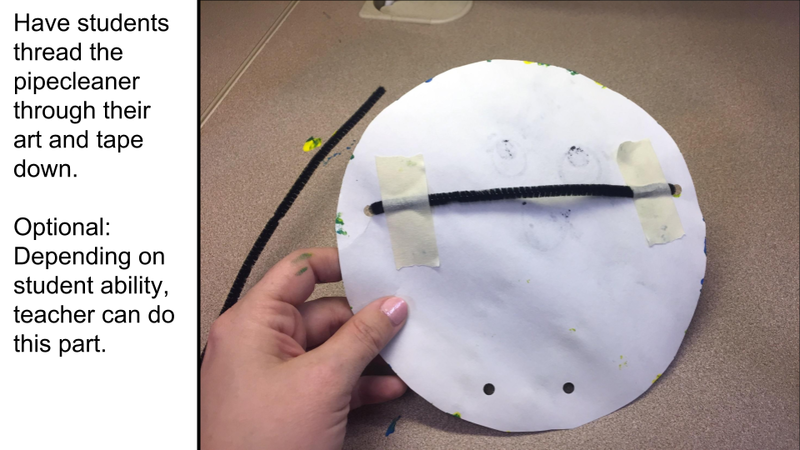 You want to maximize creativity, and this includes empowering students to make choices. 8. 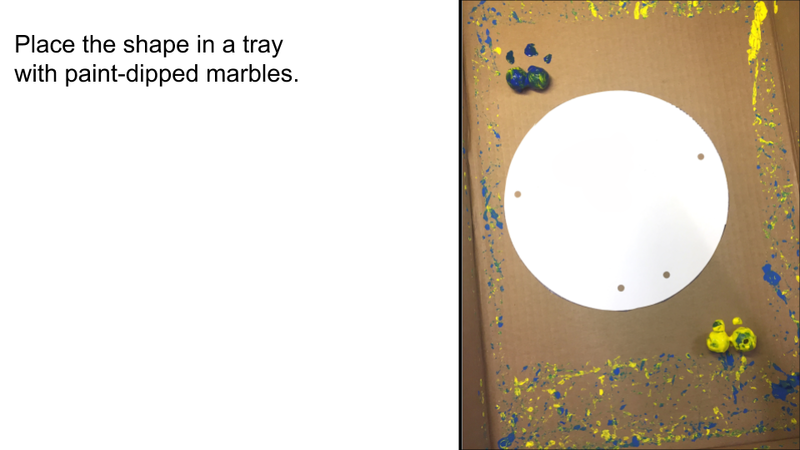 Lead a short demo to show students how to handle marbles, paint, and tray to mix (discover!) a new paint color. 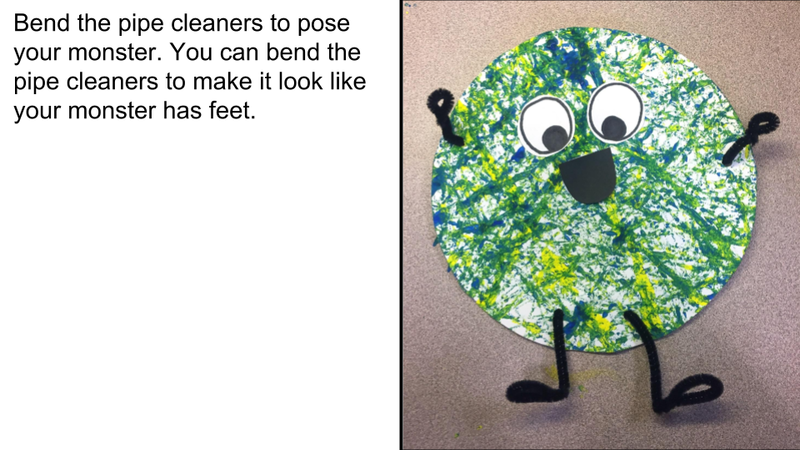 The more you roll your marbles, the better your paint will mix. I used liquid tempera paint. 9. 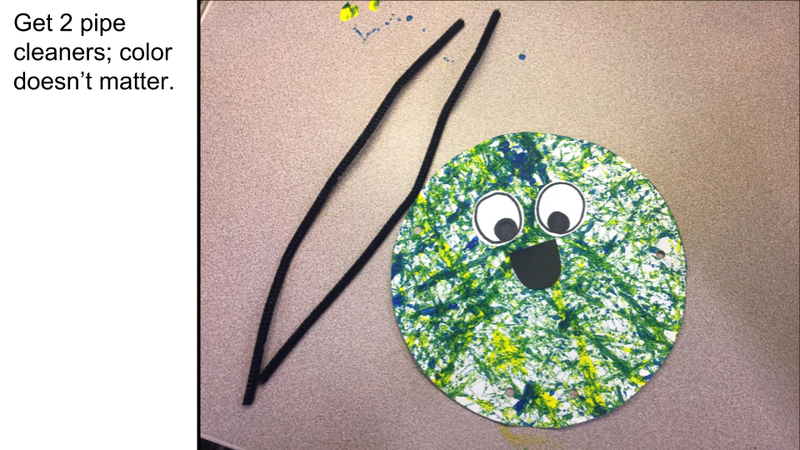 Walk students through (step-by-step) of creating eyes (you can use googly eyes or draw your own), mouth, arms, & legs. 10. 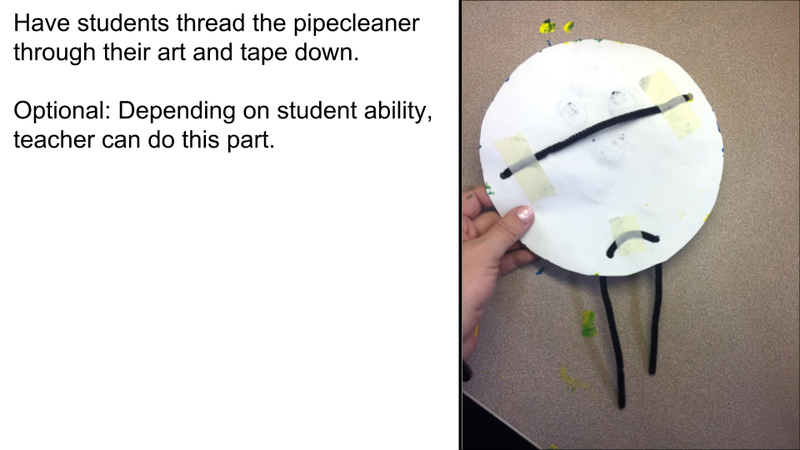 Discuss with students what they made, what they discovered, and what they learned. 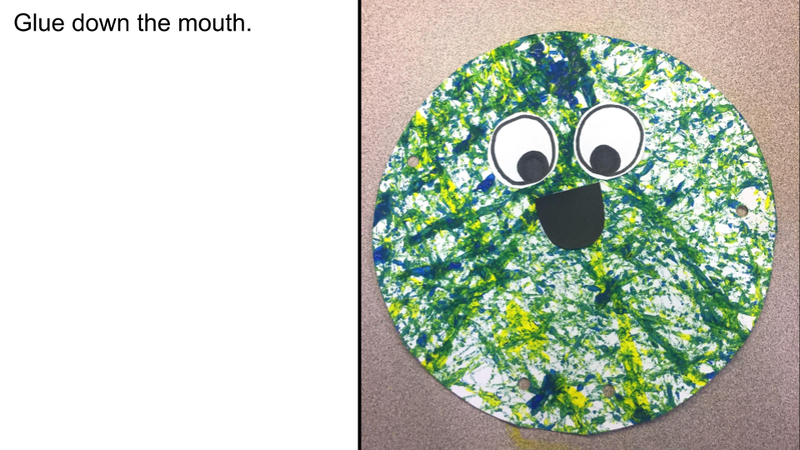 Overview the speech bubble worksheet. 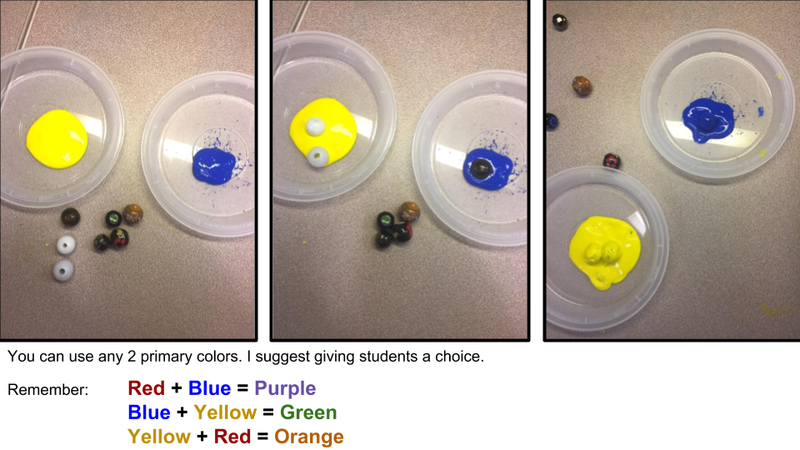 Have students complete the worksheet using crayons. 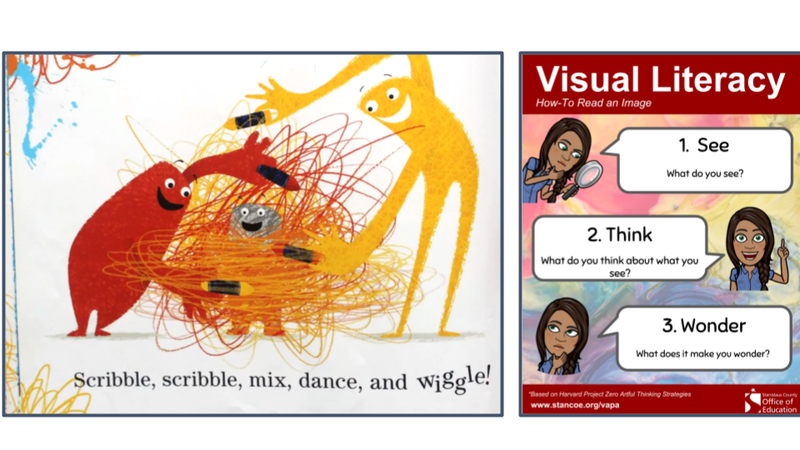 11. Review the visual rubric with students. 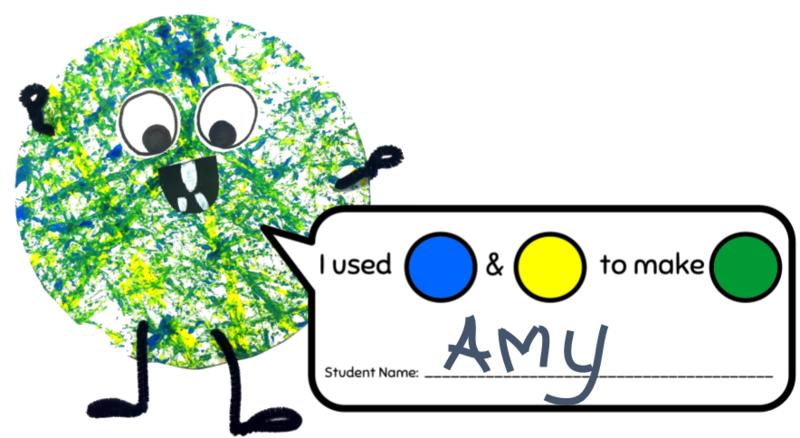 Ask students to grade themselves. 12. 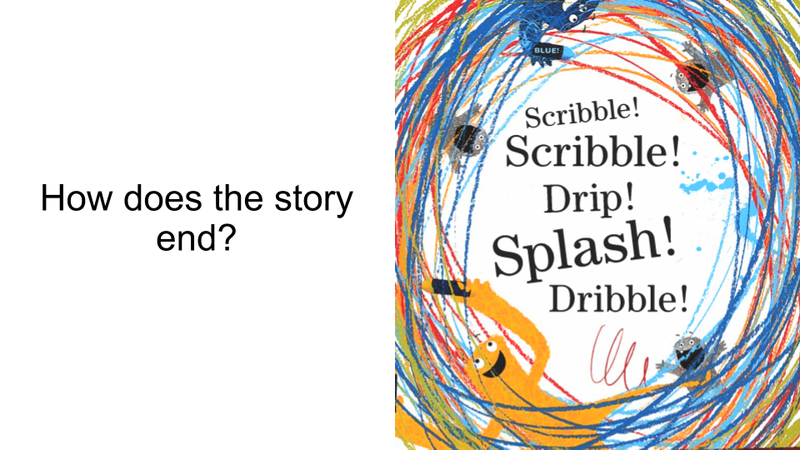 Display artwork alongside speech bubble. Please enjoy this free lesson! Share it with your colleagues so they can teach it, too. 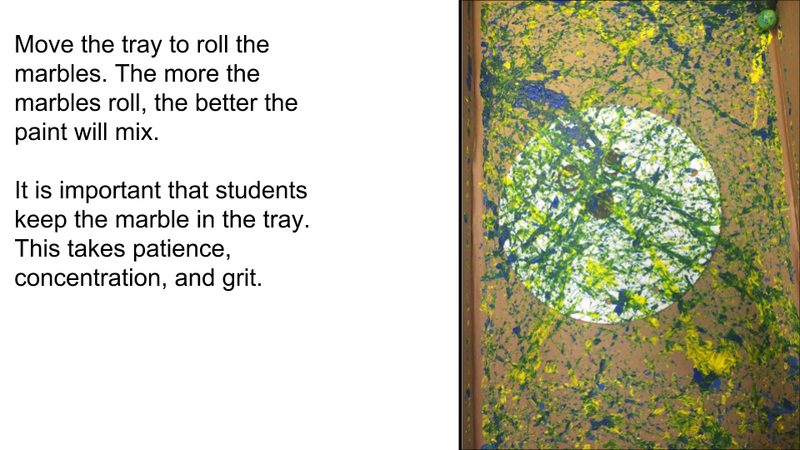 But, do not attempt to recreate the lesson for publication, selling, presenting, or conferences. Be cool.